This Elliotts of Newbury credenza is a stunning example of 20th Century design. What's most exceptional about this piece is it's height. It contains a matching fold away table that seats 6 people. Perfect for all holiday family dinners! The mix of teak and walnut provides a unique look that you won't find often. If you're in the market for a classic look and a two-in-one option, make sure to stop by the shop and see this item. 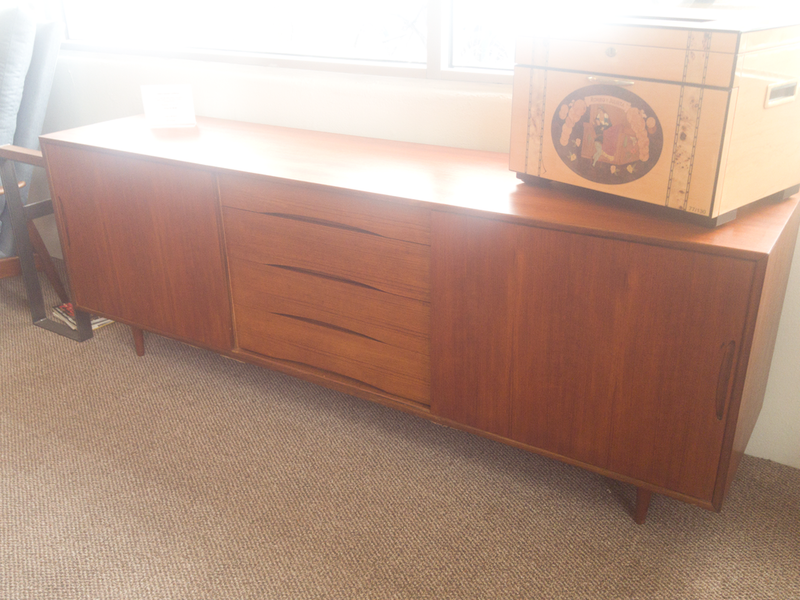 Also, check out these other great credenzas we have on the showroom!